The Dissidia series is known for bringing together some of the most popular characters from the different Final Fantasy games. Dissidia Final Fantasy: Opera Omnia is the latest in the series, and it has quite a few tricks up its sleeves. 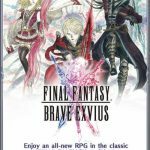 Available on Android and iOS, Square Enix’s new game sets itself apart from most other Dissidia games because it utilizes a strategic turn-based combat, as opposed to the rumble arena style the series is known for. This tweaked format of the game lends itself well to the mobile platform and allows players to experience a whole new story. 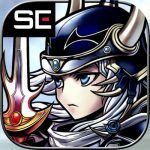 Collect your favorite characters from the series and build the strongest team of heroes there is. Play alongside your friends in multiplayer quests in order to win amazing rewards. 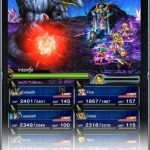 There is a lot to do in this game, and you will need the help of our Dissidia Final Fantasy: Opera Omnia beginner’s guide to get through everything! Enemies have Bravery Points that you can gradually bring down using Bravery Attacks. Try to deplete their points to zero in order to trigger their Bravery Break status. Once you do, you will be able to earn more Bravery Points for your own heroes. This will allow them to deal even more damage when they perform HP Attacks. This tactic is particularly helpful when used against Bosses and other tough enemies. When you start out, the enemies are not that difficult yet, so you can just focus your Bravery Attacks on one enemy at a time. Later on, however, you will need to learn when it is time to spread out your Bravery Attacks among the members of the enemy party. One of the good things about Dissidia Final Fantay: Opera Omnia is that you can check your opponent’s information before the match begins. That means you will know their strengths and weaknesses before you pick your own party. Since you will eventually have dozens of heroes in your roster, you will be able to pick characters for your lineup that will be perfect for exposing the weaknesses of your enemies. For example, if you are going against enemies with high physical defense, then you might want to throw in a couple of mages on your team. If the enemy has an elemental weakness, then bring someone that uses that exact element. Preparation is half the battle, so use the enemy’s information to your advantage. This won’t be possible for you right away, but as soon as you are strong enough, try to play Hard Mode and Event Quests. The Hard Mode for levels will be unlocked when you finish a chapter. The battles will be a lot tougher, but you will also earn more experience this way. You need to farm in this mode in order to ensure your party levels up more quickly. The higher your party’s level is, the higher your total rank will be, which will get you awesome rewards. Event Quests, as the name suggests, are seasonal quests that you can get from time to time. They will be as difficult as Hard Mode, if not more, so make sure you are fully prepared before you take them on. The game has a gear enhancement system that allows you to sacrifice equipment that you don’t use in order the strengthen the ones that you have equipped. As your equipment’s level goes up, it will be costlier to continue upgrading. Make sure you use equipment from the same class when upgrading your gear. This will allow you to limit break your weapons and armor, increasing their stats exponentially. You will be able to max out your weapon or armor’s levels after three limit breaks. Doing this will turn affinity abilities into passive ones, and it will also increase your equipment’s rarity. 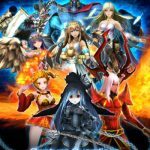 There are several support items available in Dissidia Final Fantay: Opera Omnia. These include the Relic of All Knowledge, Book of Treasure, Book of Fortune, and Book of Training. Using these will set a 30-minute timer indicating their effectivity. That means you should do all your miscellaneous stuff before activating any of the support items to ensure you maximize their effectivity. One support item that you should prioritize is the Relic of All Knowledge. This gives you double the experience, gil, and items whenever you complete quests. Another useful support item is the Book of Training which doubles your experience from completed quests. Since you want your characters to level up as quickly as possible, these two support items would be invaluable. No Final Fantasy game is complete without summons. When you are introduced to the Summon system, the game will give you a Chocobo summon for free. After that, you will be able to choose one on your own. It is a good idea to pick Sylph since his ability to restore 300 HP/Bravery to your party will come in handy while you are still learning the ropes. Later on, when you have more summons available, you can try out different combinations with your team. They all have different effects, so the best one depends on how you build your team. One example is using Ifrit on a high DPS team. Since his Blessing raises ATK by 5%, you will have a scary team of assassins on your hands. As you play Dissidia Final Fantay: Opera Omnia, you will amass a large number of equipment. It will eventually be too tedious for you to go through each of these equipment just to figure out which one is better. The good news is that you don’t really have to. The game has a useful Auto Equip feature that will slap on the best gear on your characters in a second. Don’t worry because the game’s choices are always reliable. The game allows you to invite another player’s character in battle. Support Fighters are ones that are set by players for helping others. Just scroll through the list of players and their characters, then choose the strongest one you can find. This is useful, especially when you are still starting out. You will be able to breeze through many early battles by relying on Support Fighters. Once you are much stronger, make sure you pay it forward by setting your best character as a Support Fighter. Once you have a good team, it will only be a matter of completing your daily grind. The game makes it easy for you by providing a series of player missions and events that will give you various rewards. Just check out the Missions tab to see the available quests for the day. Don’t forget to pick up your Daily Login reward as well. The game is celebrating its launch by giving away a lot of freebies for the entire month of February. You can get a lot of gems by simply playing the game, and even backing up your data through Facebook. The future is looking good as well in terms of monthly rewards. Make sure you check out notices to see what kind of treats the developers have in store each month! That is everything you need to know in order to succeed in Dissidia Final Fantasy: Opera Omnia! Just follow the tips, cheats and hints we shared with you above and your team will be invincible!